ILTF partners with a variety of different groups to achieve its mission, including Indian nations, nonprofit organizations and businesses. Some of these collaborations have resulted in the creation of new organizations and enterprises that share many of our goals and work closely with us but operate as separate entities. The Indian Land Capital Company (ILCC) is a national, Indian-controlled lending institution that provides Indian nations with flexible financing for land purchases. ILCC was created in 2005 as a collaborative effort between ILTF and the Native American Community Development Corporation (NACDC) to bridge the gap in lending to tribes and to facilitate the acquisition of lands for social, cultural and economic purposes. 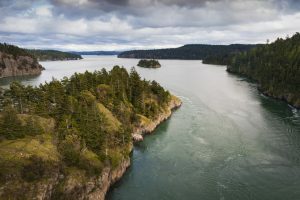 As part of its commitment to the long-term stability and sovereignty of Indian nations, ILCC requires qualifying tribes to have an active land acquisition strategy in place and sound plans for land management and future development. ILTF and NACDC can providegrants and technical support to tribes seeking to develop their strategic plans in order to qualify for loans from ILCC. Learn more about ILCC at ilcc.net. Climate change presents countless challenges for Native nations. It also offers tremendous opportunities that are enabling Indian tribes to generate millions of dollars in revenue through sustainable management of tribal lands. 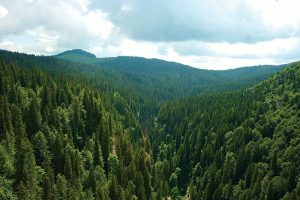 A partnership of the Indian Land Tenure Foundation and the Intertribal Agriculture Council, the National Indian Carbon Coalition is a program that helps tribes and landowners take advantage of carbon credit and other environmental value markets. Learn more about NICC at indiancarbon.org. As tribes continue to effectively manage their land and natural resources, the need for education and sharing of information between Indian nations is greater than ever. NTLA seeks to work in harmony with tribal nations to create opportunities for land and natural resources staff working in land-related areas to learn, share and network with their colleagues from other tribes to expand their knowledge and skills related to the many facets of land ownership and management on Indian reservations. 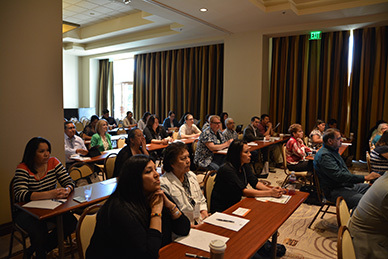 Each year, NTLA and ILTF co-host the Tribal Land Staff National Conference which provides educational opportunities on the latest land issues facing tribes, as well as providing an opportunity to network with others who work on land-related issues in Indian Country. Learn more about NTLA at ntla.info. Our supporters make everything ILTF does in the community possible. Without them, we could not sustain our efforts to serve Indian nations and individuals in the recovery of their rightful homelands. Our supporters include Indian Nations, foundations and corporate sponsors and donors. Binder Heating & AC, Inc.
GSB Construction Management Services Inc.
MTG Engineers & Surveyors, Inc.
S & K Technologies, Inc. The Tom Glynn Co. Inc.